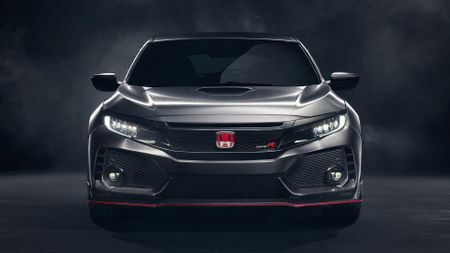 The hot hatch arms race is faster than ever, and Honda is adding fuel to the flames with its Paris show star: a prototype of the 2017 Honda Civic Type R, which is due out late next year. 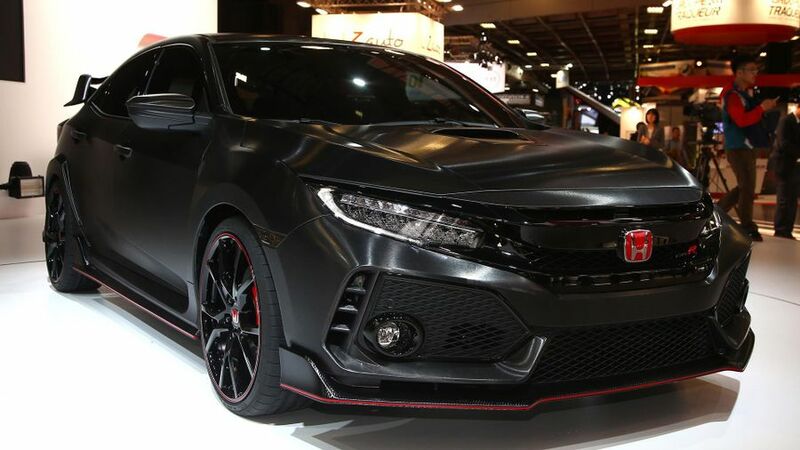 Unveiled alongside the next-gen Civic in Paris, this preview of the Type R is if anything, even more wildly aggressive looking than the model it replaces. The huge rear wing, wide body kit and black and red alloy wheels of the current model remain, but it features a new central air intake in the middle of the bonnet, and a triple exhaust system – just like a Ferrari 458 Italia. The concept, which was one of the big surprises at the Motor Show, previews a production model that will appear at the 2017 Geneva show in March, and will be the first Civic Type R ever sold in the US market – but in Europe it’ll be aimed at taking on the Volkswagen Golf GTI Clubsport S and forthcoming Renault Megane RS to be the fastest front-drive hatch. 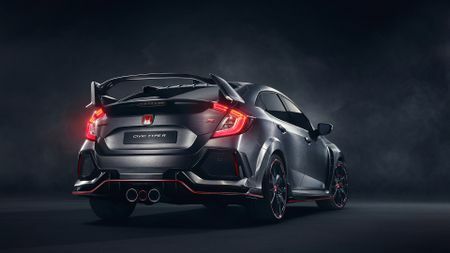 Honda is currently keeping technical details underwraps, but is likely to boost the power output of the 2.0-litre turbo engine from 306bhp closer to the 350bhp of the Ford Focus RS – although it confirmed the Type R will remain front-, rather than four-wheel drive. Handling and grip gains over the current model will instead come via the wider footprint of the new chassis, which has a bigger track, and increased downforce from the touring car-style aerodynamic package, which includes a huge front splitter, double diffuser, and wing. All these components are carbon fibre on the prototype, but may not make production. Underneath, the new Civic has been designed from the ground up to feature a multi-link rear suspension setup, which is more complicated than a conventional rear axle, and should also help improve handling. 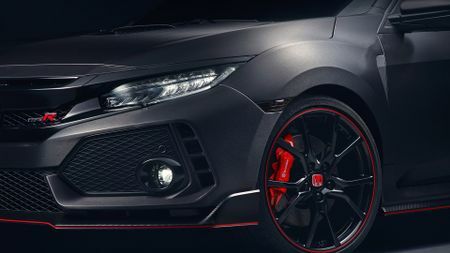 The current Type R had its multi-link suspension retro-fitted at the cost of great time and engineering expense to Honda. It’s due to go on sale right at the end of 2017 – and Honda expects to sell around 1,000 cars a year, the same as the current model, so it should be quite a rare sight. Prices should stay around the £30,000 mark – depending on the final trim and specification.